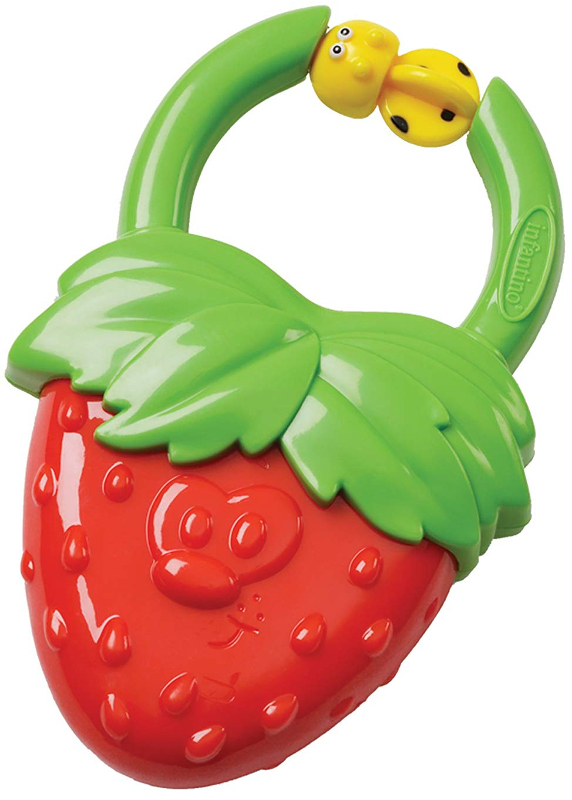 Gummy textured vibrating teether that gently massages gums when baby chomps! Easy to grasp handle makes it easy for little hands to hold, while the vibrating motion helps to relieve soreness. The teether’s soft textures are soothing on even the most sensitive spots.